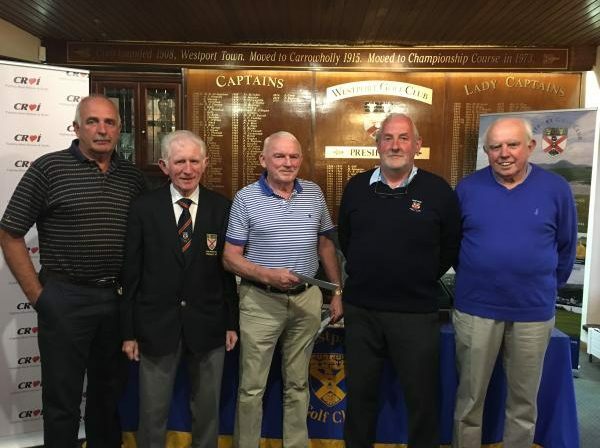 A fantastic turnout as over 180 golfers took part in the second annual Westport Golf Classic Four Ball Tournament in aid of Croi on Friday 23rd June at Westport Golf Club. Pictured above are First Place Winners with Gerry Hughes (Westport Golf Club President) and Christy O’Malley and Joe Gibbons of Westport Croi Friends. Huge thanks to all the sponsors on the day. A special thanks to The Connacht Hotel who sponsored the first prize. This charity event is organised by friends and family of the late Darragh Kenny who suddenly passed away in January 2013. Darragh worked as a prison officer at Mountjoy Prison, and many of his colleagues joined his family and hometown friends in the inaugural memorial cycle. Over €23,000 was raised from the initial cycle and in March 2014 a memorial plaque was unveiled in the Croí Courtyard Apartments as a tribute to Darragh. This cycle is 150km and will start outside Mountjoy and make it’s way out of Dublin and all the way to Lecarrow, Co Roscommon. ONLINE REGISTRATION OPEN – CLICK HERE. For more info click here to visit the event page. 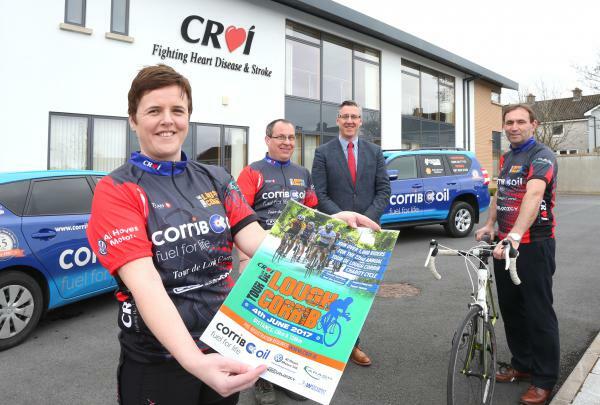 22nd Annual ‘Tour de Lough Corrib Charity Cycle’ takes place Sunday June 4th. This fun cycling sportive continues to be the biggest charity cycle in the West of Ireland offering a choice of a 45km or a 120km route through stunning Connemara. Local company, Corrib Oil have been the main sponsors of this event every year since its inception and supporting sponsors this year are Al Hayes Motors, Carragh Precision and Velocity Bike Store, Oranmore. Entry to the event is FREE but cyclists are asked to fundraise in support of the fight against heart disease & stroke. Registartion available on the morning of the cycle from 7am at Dangan, NUIG Sports Pavilion. Register now! Tour de Lough Corrib June 4th 2017. On Yer bike for Croí! 22nd Annual ‘Tour de Lough Corrib Charity Cycle’ on Sunday June 4th. 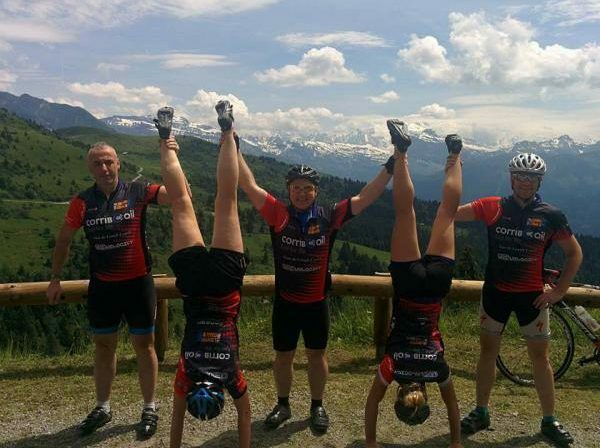 This fun cycling sportive continues to be the biggest charity cycle in the West of Ireland offering a choice of a 45km or a 120km route through stunning Connemara. Local company, Corrib Oil have been the main sponsors of this event every year since its inception and supporting sponsors this year are Al Hayes Motors, Carragh Precision and Velocity Bike Store, Oranmore. 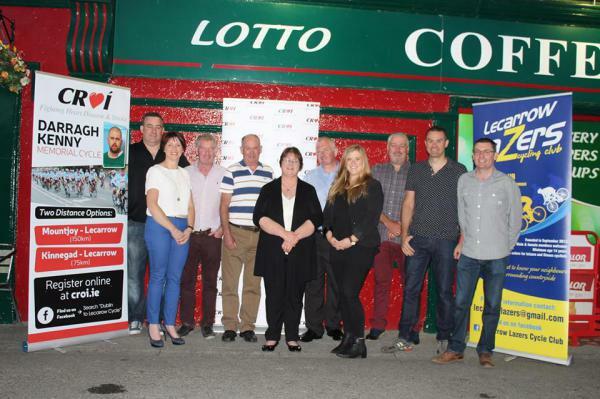 Pictured announcing their sponsorship of the 22nd Annual Croí ‘Tour de Lough Corrib’ Charity Cycle on Sunday June 4th are: (Left to right) Edwina Treacy, Croi, Bernard Dempsey Corrib Oil (Main Sponsors), Joe Kavanagh, Croí and Gerry Mullin, Corrib Oil. Posted in NewsLeave a Comment on Register now! Tour de Lough Corrib June 4th 2017.